Reaching its eight episode, this adaptation of the Stephen King novel 11.22.63 has come to its conclusion. Focusing on the day of Kennedy’s assassination, November 22nd, Jake Amberson (James Franco) and Sadie Dunhill (Sarah Gadon) rush to the book factory where Lee Harvey Oswald (Daniel Webber) is set on killing the president. However, with the past doing everything it can to stop the pair, fulfilling their mission in saving the president may be easier said than done. “The Day in Question” may not follow every concise detail the novel threw at the reader, but this final episode of the Hulu exclusive show is, without a doubt, a superb one. James Franco’s performance is especially deep and substantial throughout the hour-long conclusion, and Sarah Gadon’s involvement as Sadie is as admirable and sensational. 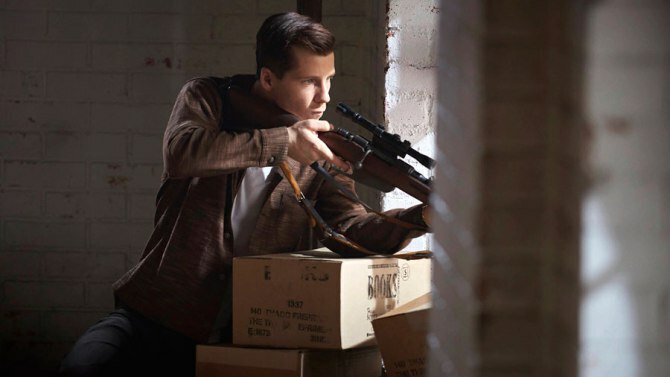 Without giving too much away, the plot we are provided with these two characters here is absolutely tense and heart-racingly captivating from start to finish, especially when Jake tries to go after Oswald and stops him from shooting the president. Everything has been leading up to this episode, and the narrative is thankfully as stirring as it needs to be. All the characters’ storylines wrap up nicely, there are some genuinely heartbreaking and tearjerker moments that’ll make viewers squirm from sadness, and who would’ve guessed we’d even have a few Stephen King Easter eggs to make this episode an especially grand one. There are just two problems I have with the episode, and they thankfully don’t detract from the experience entirely. First, there is one scene where James Franco’s character, Jake, should be pouring out a great amount of sadness due to a traumatic experience, but Franco’s performance seems to be a little too “held back” to feel as powerful as it could have. 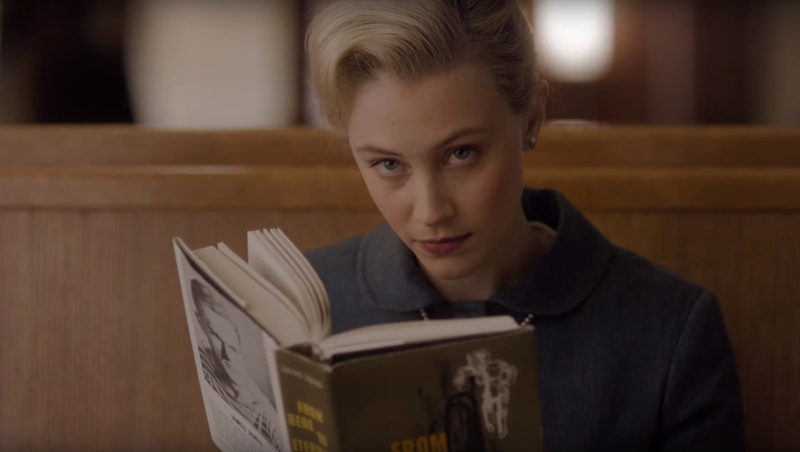 Secondly, we get a scene of seeing an elderly Sadie Dunhill, and the production team decided to use a different, aging actress as the character, as opposed to using Sarah Gadon and just applying appropriate make up. It’s a bit jarring at first, but the power of the scene alone assists in overcoming said jolt. In conclusion, “The Day in Question” is a near perfect resolution to an already superb series from producer J.J Abrams. The series as a whole has had its ups and downs, some episodes being definitively better than others, but with such well-rounded characters, suspenseful scenes, and all around interesting time travel plot, this ride through 1960s’ Texas has definitely been a great one. Fans of Stephen King, or anyone in the mood for a binge worthy suspense story, 11.22.63 should be right up your alley if you haven’t already started watching it. Just about everyone will find something to love about this series.